There is a single natural herb that could provide you with multiple health benefits viz. restoring your energy levels as well as vigor and vitality, providing stress relief, bestowing peaceful sleep, providing relief in joint pains et al. Ayurveda conveys that the herb of Ashwagandha is extremely beneficial in restoring as well as revitalizing the overall well being of an individual. Not only this, this particular herb comes to use effectively for restoring the energy levels of an emaciated person and all the more significantly playing a substantial role in delaying the process of aging. In the Ayurvedic texts, the herb of Ashwagandha is quite rightly regarded as a Rasayana. Evidently, all the natural herbs that help in increasing resistance against disease, enhancing physical as well as mental health and also aid in delaying the debility of aging; are mainly termed as Rasayanas. The herb of Ashwagandha has the benefit of being entitled as Rasayana, owing to the exceptional properties it holds. The Latin name of the herb is Withania somnifera and locally in India it is known as Asgandh. The Sanskrit name Ashwagandha is derived from two words Ashwa and Gandha, the combination of the two means that what smells like a horse. This medicinal herb, which grows 2 to 5 feet tall and bears yellowish green flowers, is found more extensively in India in the regions of Himalayas. The root which is the part of the herb that is used for medicinal purposes is whitish-brown in color thick and sturdy and may extend to about 1 to 2 feet in length. Ashwagandha is light and slimy by nature and hot in potency. The taste is a combination of sweet, bitter and pungent and the after taste is sweet. 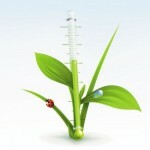 Chemical composition of the herb includes glycosides, acid, starch, sugars and amino acid. Other than these, approximately thirteen alkaloids like trophine, anapherine, anahygrine etc supplement the composition. 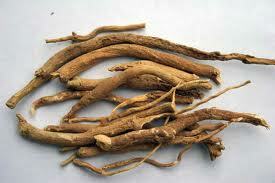 The root of Ashwagandha is mainly used for therapeutic purposes. Being slimy and hot by nature, the herb of Ashwagandha tends to cause a decrease in the Vata or air and Kapha or the phlegm humors of the body. Thus, it is useful in treating the ailments arising from a distortion in either of the two humors. Energy Restorative Conduct – A powder prepared by pounding the roots of Ashwagandha may be taken in a dose of 3 to 6 grams along with a glass of warm and sweetened cow’s milk. This energy tonic when taken regularly for some time is sure to boost the energy levels. This herb is also the drug of choice in case of weak and under-weight individuals. Ayurveda practitioners generally prescribe Ayurvedic preparation by the name of Ashwagandharishta. Cure for Insomnia – The herb of Ashwagandha is soothing and calming for the brain. It is recommended in a number of ailments that arise due to the mal-functioning of this vital organ. It has proved to be positively beneficial as a brain tonic and in the troublesome ailment of loss of sleep. Try this home remedy â€“ To about 5 grams of the powder of Ashwagandha prepared by pounding the roots, add half glass milk and half glass water. Cook the mixture on slow fire till the water evaporates. Then remove from fire, add sugar or mishri (crystalline sugar) and take it warm just before retiring to bed. For Urinary Disorders – Ashwagandha is a natural diuretic. The herb is therefore useful in the malady of diminished urination. An alkaloid formulation of the same is available in the market by the name of Ashwagandha kshar,1 to 2 grams is the suggestive dosage to be taken along with lots of water. For Joint Stiffness and Pain – For those suffering from the chronic ailments of joint pains like rheumatoid arthritis, osteo-arthritis, gout etc, the recommended dose of the powder of the herb is to be taken along with warm water after the meals. In winters or in cold climates, externally a local massage of mustard or sesame seed oil along with the pounded root of Ashwagandha powder added to it proves beneficial. Boon for Women – In women ailments like vaginal itch, inflammation, swelling in the uterus leucorrhoea, loss of hunger and lethargy, the herb of Ashwagandha is again found favorable. The medicinal preparations of Ashwagandha may be taken or simply pound the root and take the same mixed into honey or ghee. This herb also acts as a natural aphrodisiac. Powder prepared by pounding the root may be taken in a dose of 3 to 6 grams approx. along with warm milk or water.